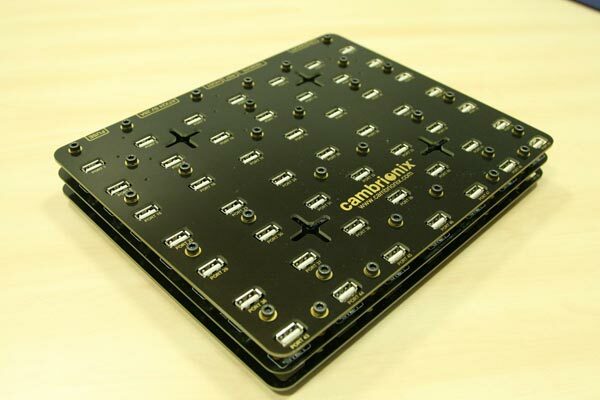 Cambrionix has just released details of their latest USB hub, the Cambrionix V3 49 Port USB Hub. 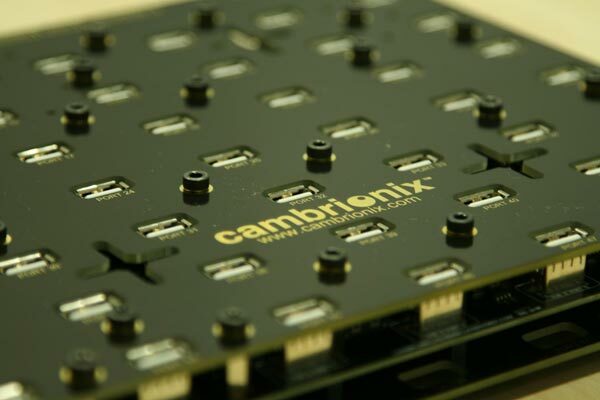 The Cambrionix V3 49 Port USB Hub is designed to be used in commercial applications and it can be wall mounted or used on your desk, it is powered by an ATX-2 power supply. 49 Powered USB2.0 ports providing a professional alternative to cascaded commercial USB hubs, untidy cabling, and reliability issues. Stand-alone use on the bench, wall-mountable, or space-efficient inclusion in screened enclosures. No special drivers required, with up to 500mA per port, limited only by your 5V power source or standard ATX power supply. 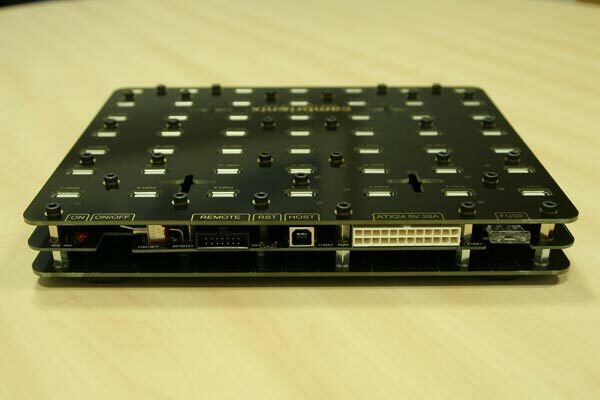 If you are looking to add this many USB ports to your PC then it is going to set you back £399 plus the VAT about $660. Thanks Steven for sending this is.